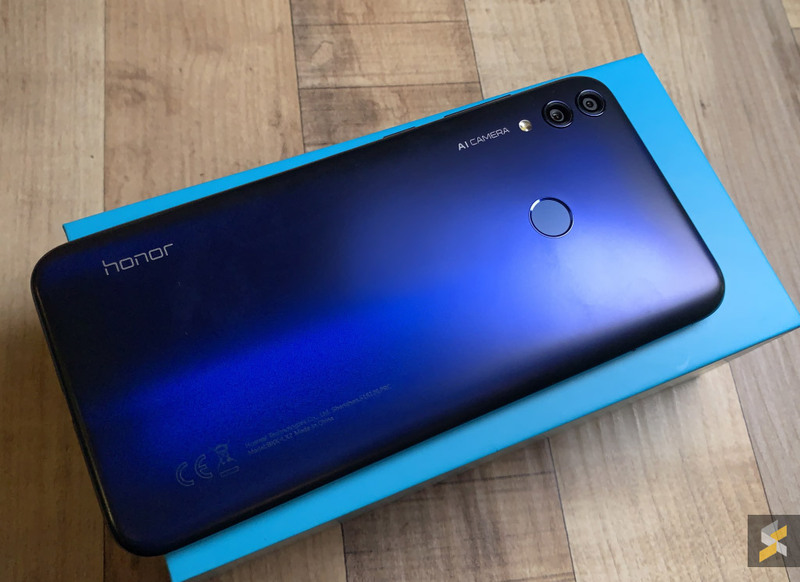 The Honor 8C has finally arrived in Malaysia and this is their latest budget smartphone that’s powered by a Qualcomm Snapdragon 632 processor. 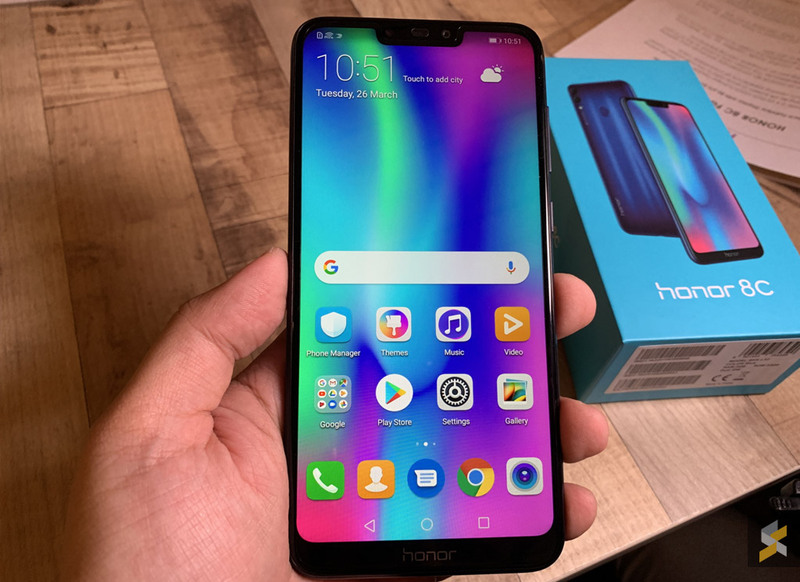 This device is positioned right below the Honor 10 Lite as well as the Honor 8X. The Honor 8C is officially priced at RM599 and we are getting a single variant with 3GB of RAM and 32GB of storage. The device is available in three colours – Blue, Gold and Black. The first sale is happening on 27 March 2019 exclusively on Lazada and it will be available nationwide on 5 April 2019. To recap on the specs, the Honor 8C comes with a 6.26″ HD+ IPS display and it runs on a Snapdragon 632 processor, which is similar to the Redmi 7. The display boasts a screen to body ratio of 86.6% and it comes with a wide notch at the top. 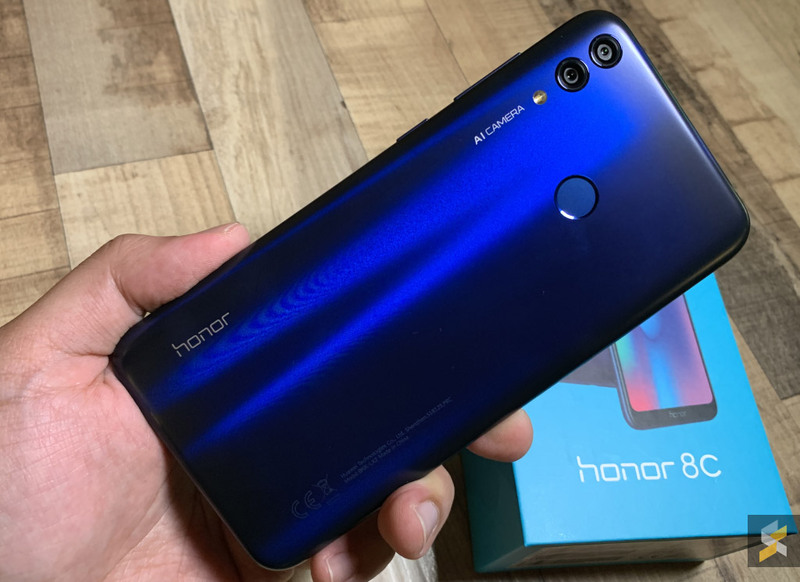 On most Honor smartphones, you’ll normally find a reflective and glossy aurora glass back, but the 8C has a subtle matte finish which seems to be less prone to fingerprints. If the 32GB of storage is not enough, the device is still expandable via a dedicated microSD slot. For taking pictures, the rear gets a 13MP + 2MP dual-camera setup, while the front comes with an 8MP selfie shooter. The device also gets AI assistance for photography with over 500 scene recognition. The Honor 8C has a rear-mounted fingerprint sensor and it also supports Face Unlock which claims to work in any direction. Powering the Honor 8C is a generous 4,000mAh battery which charges via a microUSB port. According to Honor, a full charge can last up to 2 days with average use. Out of the box, the handset runs on EMUI 8.2 that’s based on Android 8.1 Oreo. Despite being a budget device, it also supports dual-SIM with dual VoLTE.